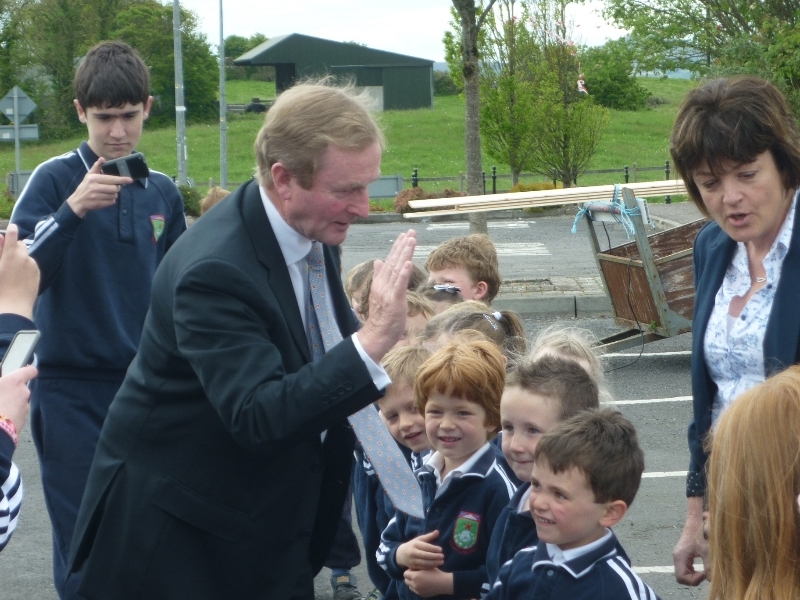 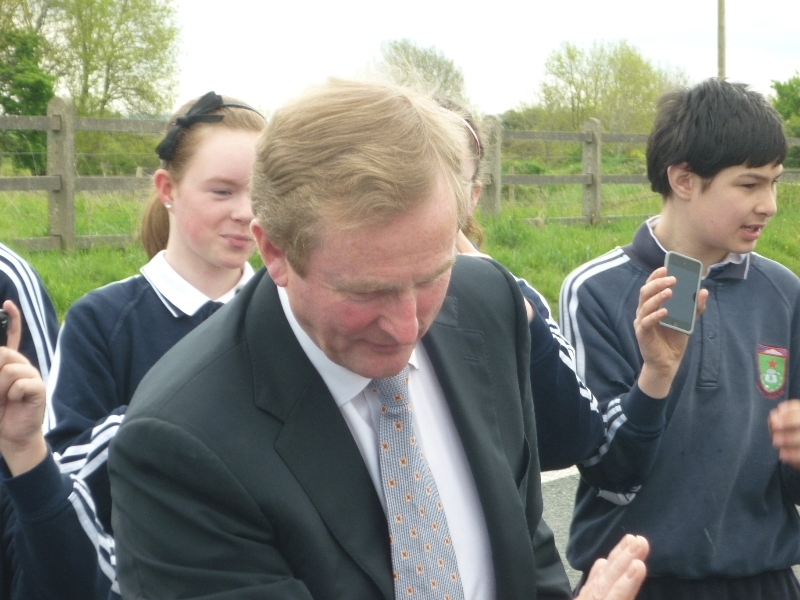 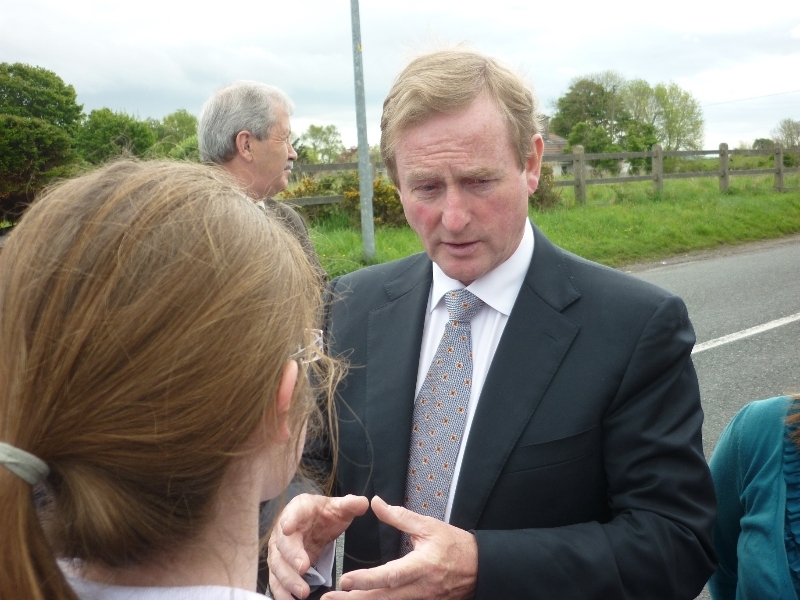 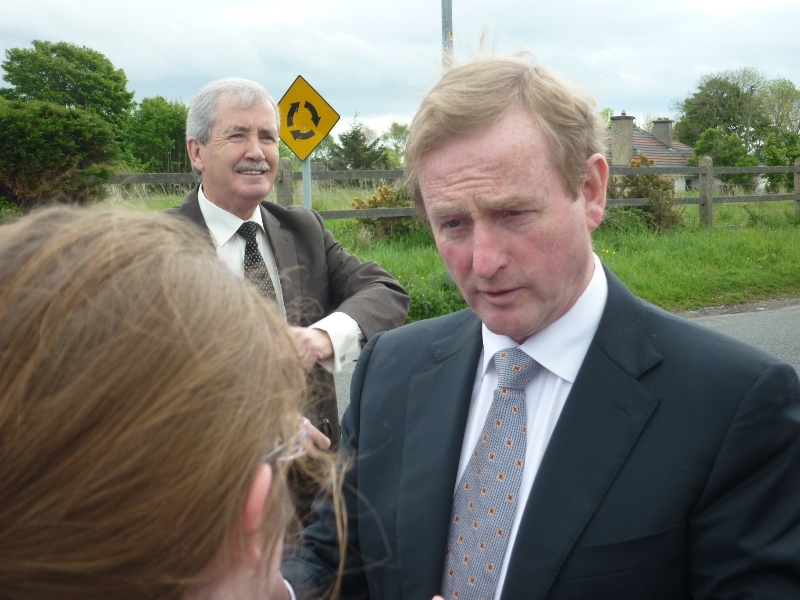 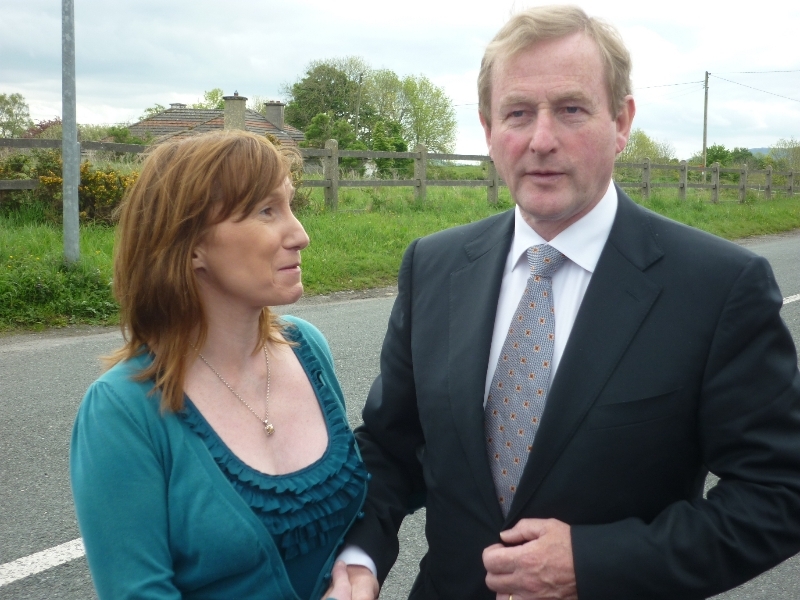 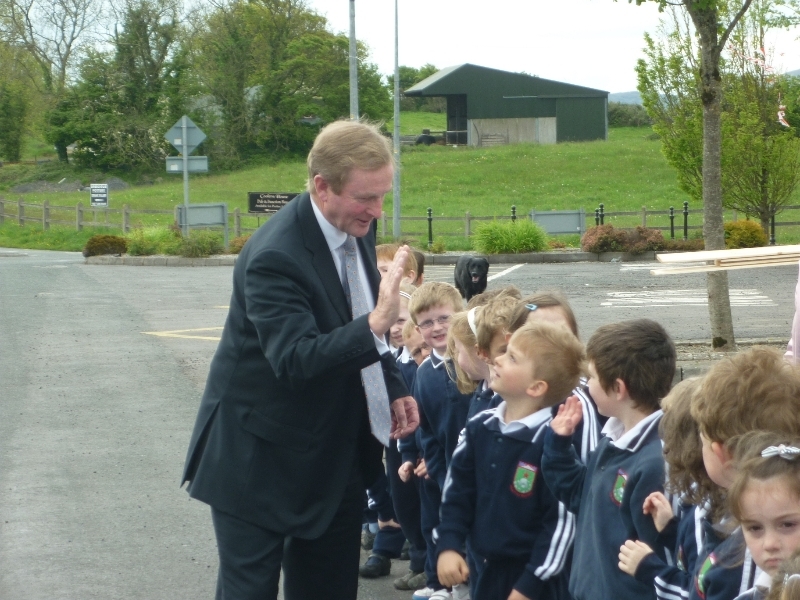 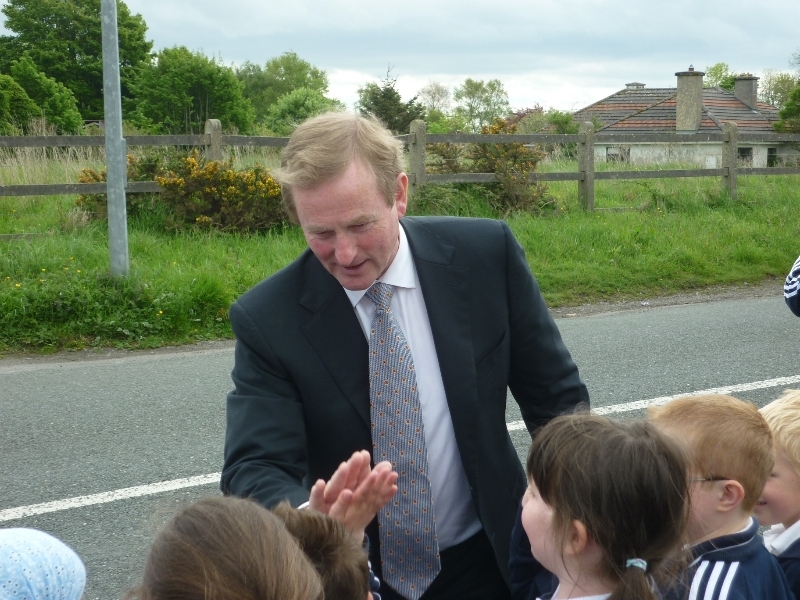 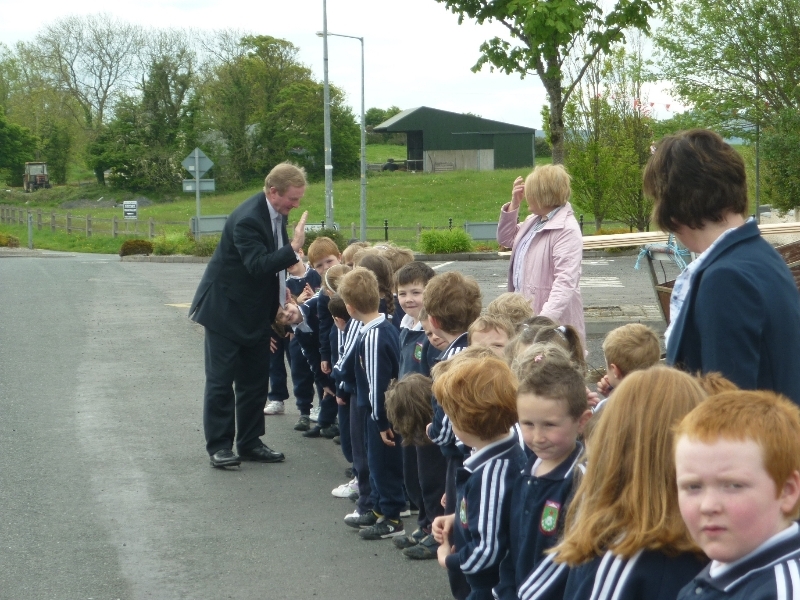 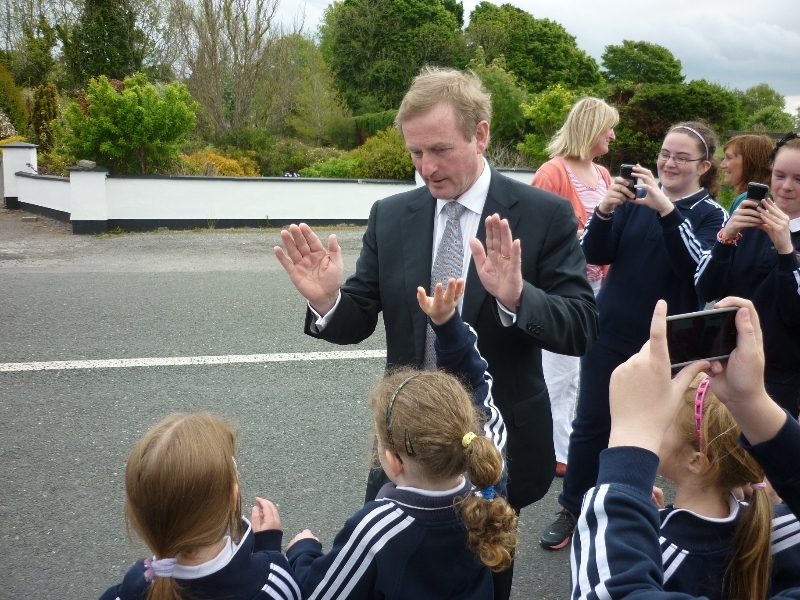 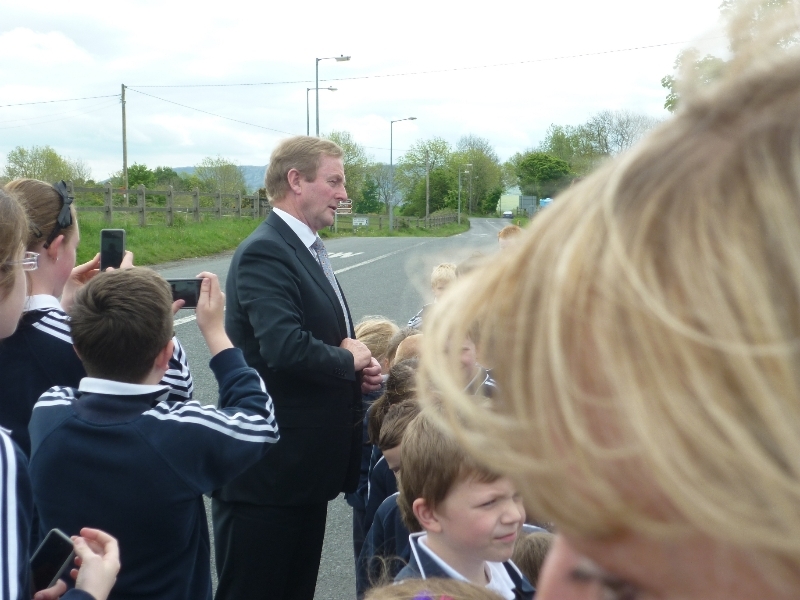 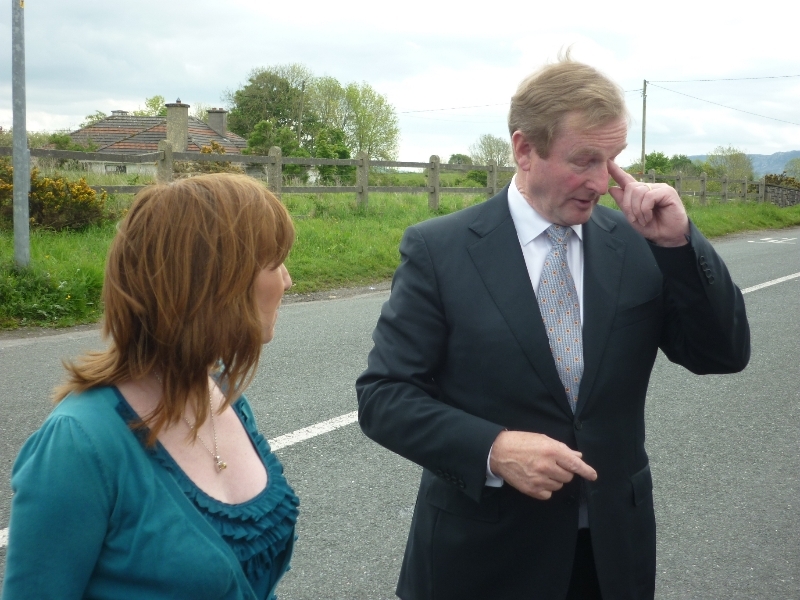 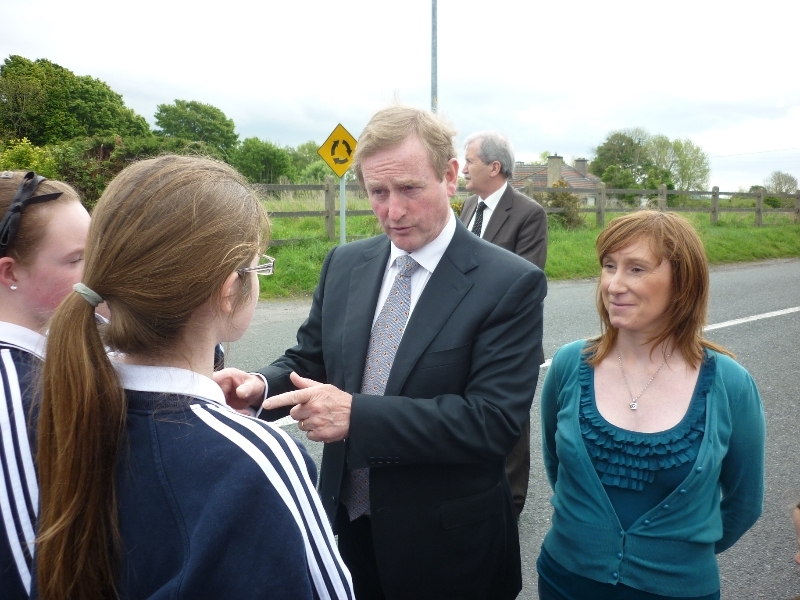 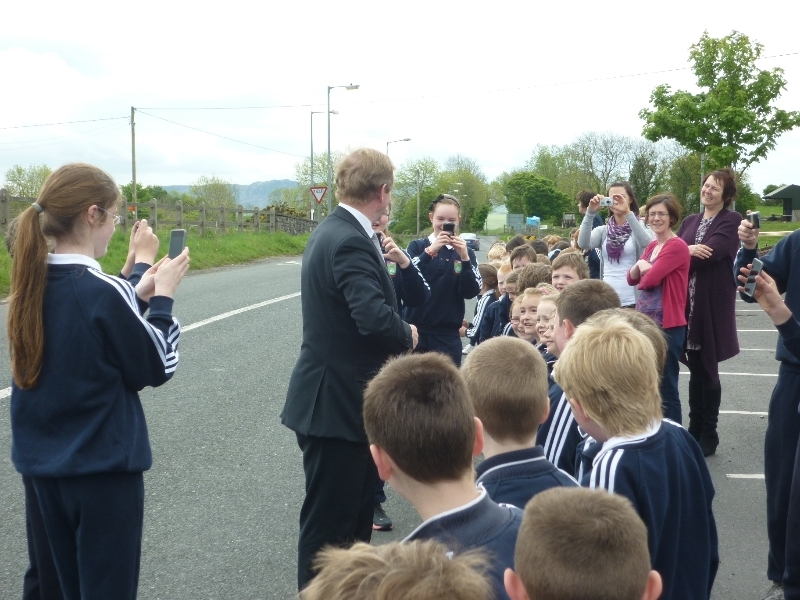 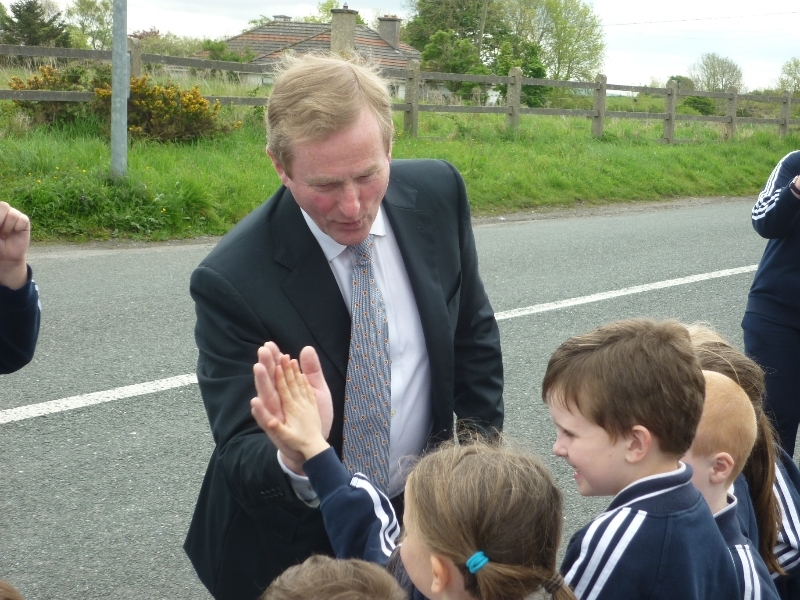 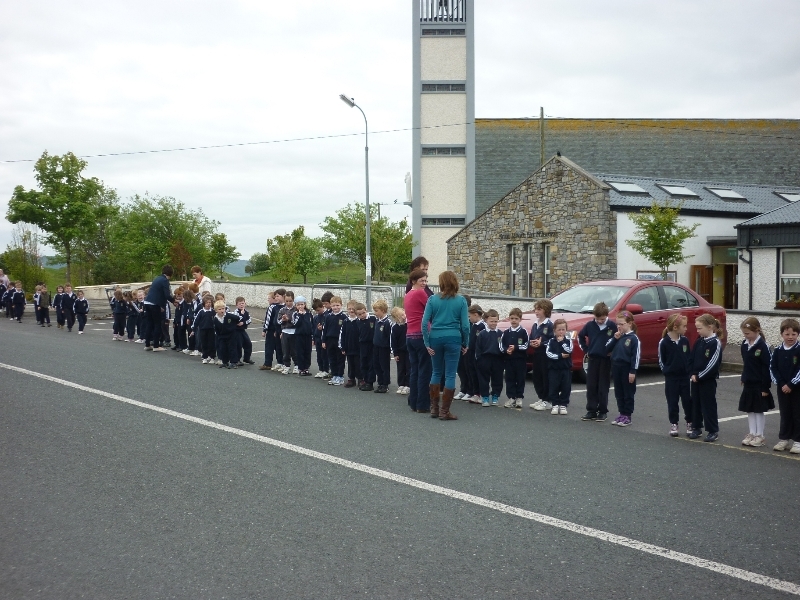 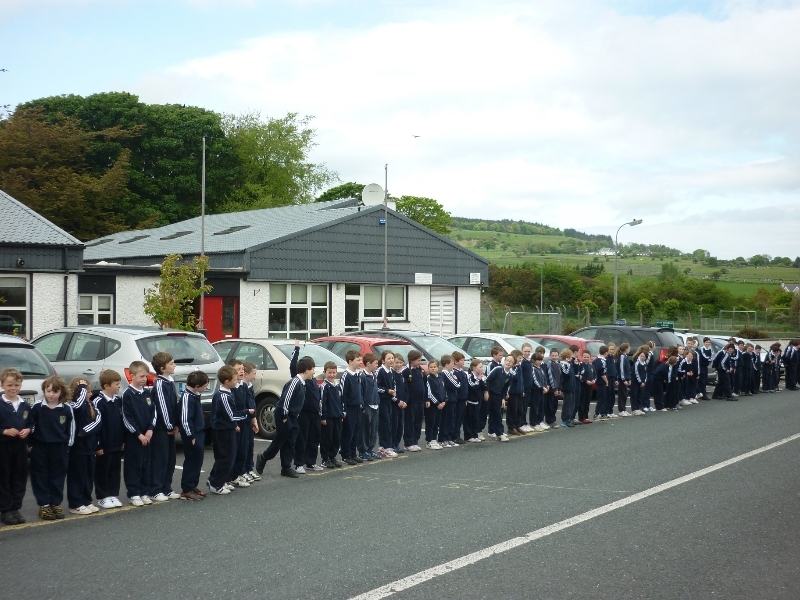 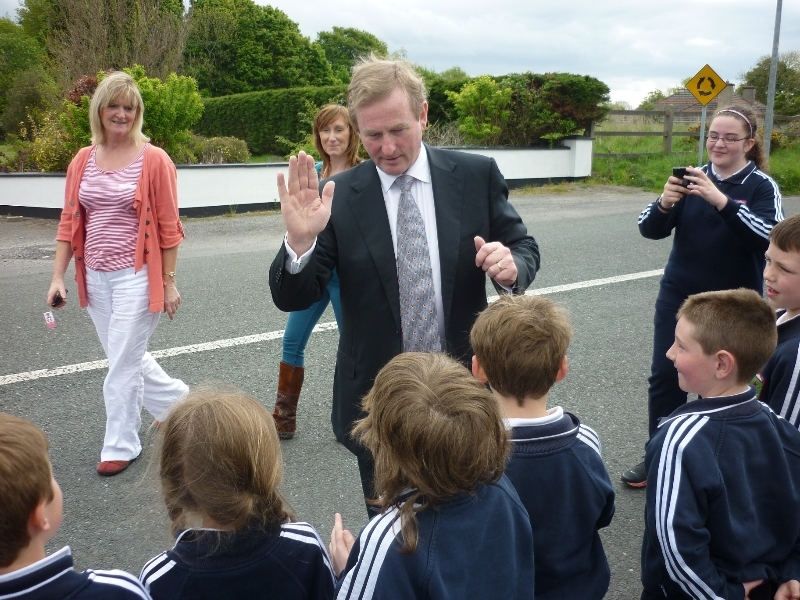 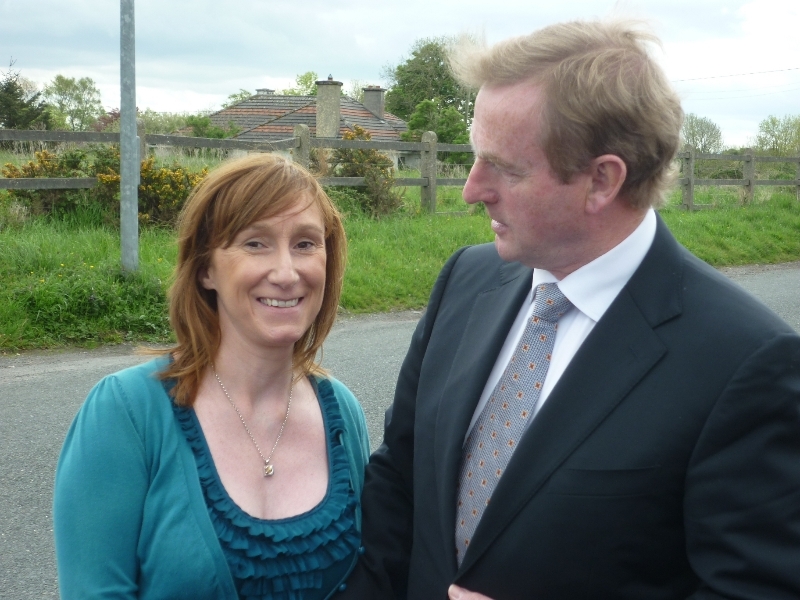 An Taoiseach, Mr. Enda Kenny T.D., paid a surprise visit to the school on May 21st 2012. 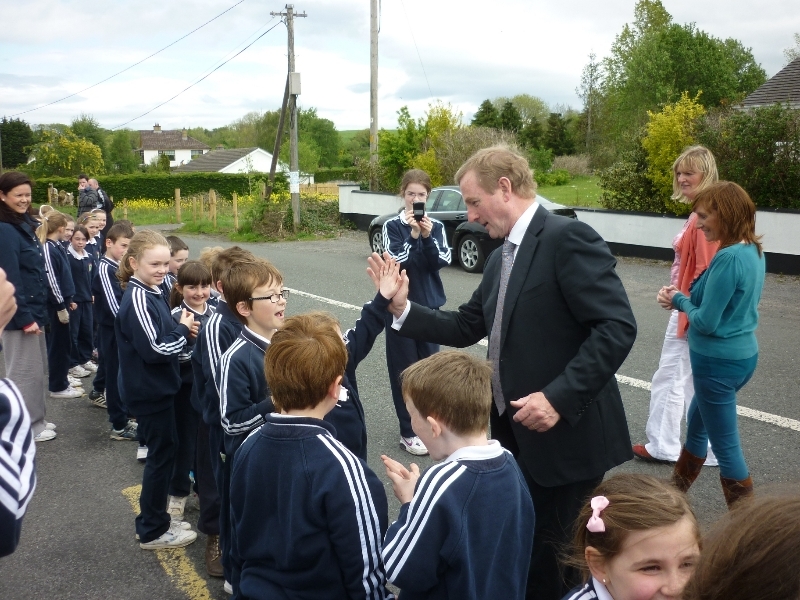 We went outside to greet him. 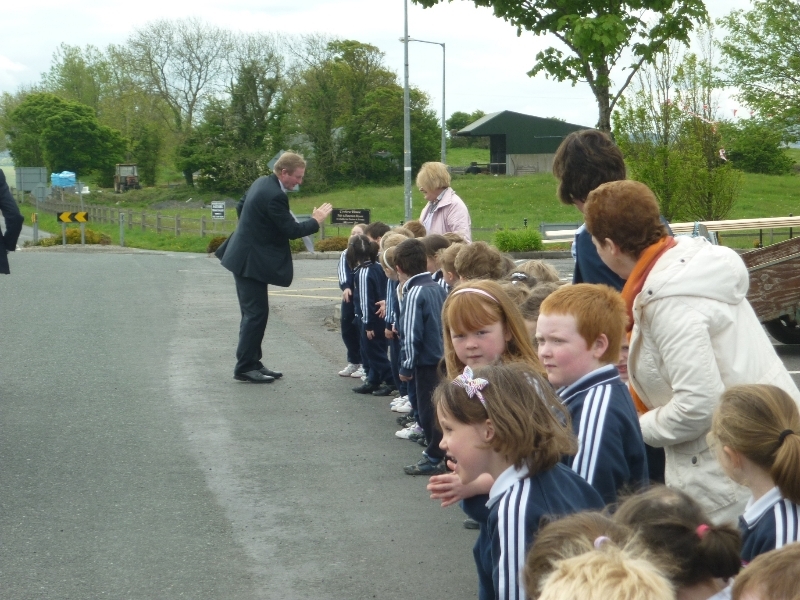 He listened to us singing a song.